Consider a scenario where you want to import data into AX 2012 R3 using DIXF, but you want a particular value to be auto-generated by the system rather than input from a text file. The following blog post aims to show how this can be done for a specific DIXF entity, so you have an example of this in action. 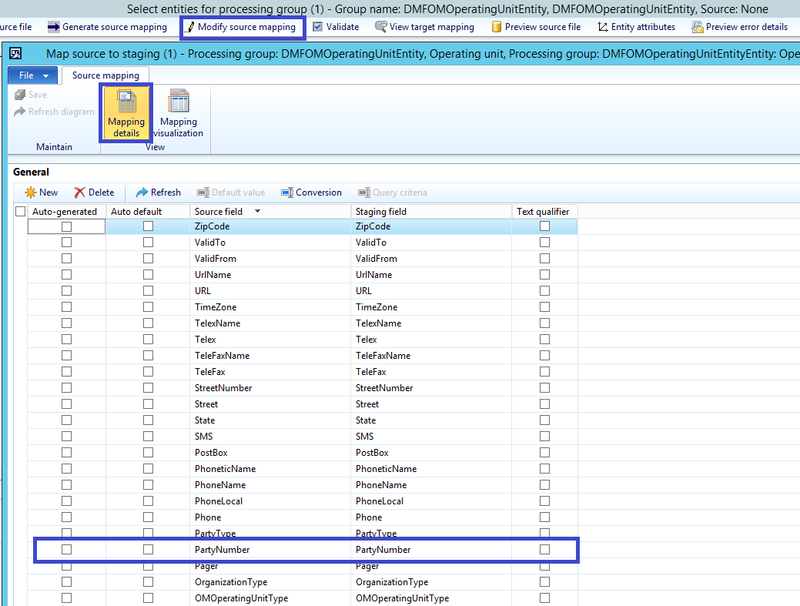 In the example below, I am working with the DMFOMOperatingUnitEntity demo data file (CSV – delimited) that ships with AX 2012 R3. So, we now have one file with the hardcoded value in it and one with no value for PartyNumber in it. 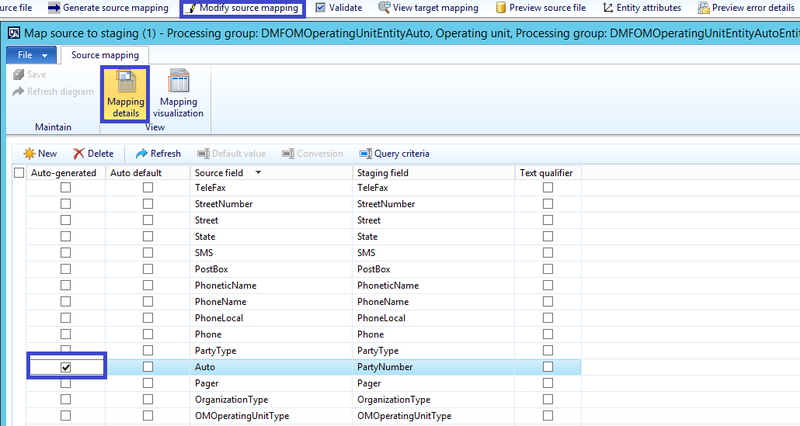 Let’s look at the Processing group where there are no changes to the entity setup and the PartyNumber is hardcoded in the input file. You can use a similar approach with other entities if you want the system to auto-generate values.